I met Bill Deane at the Baseball Hall of Fame library in 1991, when he was the Senior Researcher there, and I've been marveling at his research expertise ever since. He's in the handful of top researchers (by that I mean dogged, tireless, and ingenious) I've ever watched in action, along with Tom Shieber, Peter Morris, and Herman Krabbenhoft. So when Deane comes out with a book that reflects searches over a three-decade period, I pay attention. 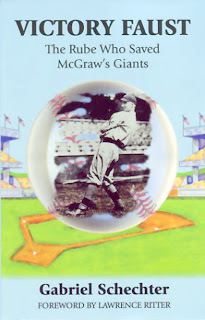 Finding the Hidden-Trick: The Colorful History of Baseball's Oldest Ruse (published by Rowman & Littlefield, available at www.rowman.com) began as one of a legion of odd-incident lists Deane compiled while poring over microfilm game accounts and box scores. For instance, a list published in the Home Run Encyclopedia covered incidents when a player's final career at-bat was a home run. As the compilation of hidden-ball tricks grew, in part thanks to the arrival of retrosheet.org and a greater availability of batter-by-batter game accounts, even more possible successful ruses cropped up. 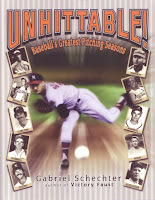 Enlisting the aid of SABR brethren who tracked down documentation of this or that possibility, Deane found enough published coverage confirming 264 of them to create a whole book about this unique and controversial sports stratagem. I for one am very glad he did. One of the delightful things about reading this book is the discovery that the hidden-ball trick (HBT henceforth, following Deane's example) has always been controversial. It involves a degree of deception that preys on the unwary. Like a three-card-monte artist, the perpetrator of the HBT uses both visual and verbal distractions; Deane titles the chapter about 1950s HBTs "Step Off the Base a Minute, Will Ya?" The ball has to be hidden somewhere, and the cooperation of the pitcher is vital, as he must stall in the vicinity of the mound until the runner can be induced to leave the safety of his base. Rules have been enacted to charge a balk to a pitcher who takes the mound with a ball, which means that to execute the HBT, the man without the ball often works harder than the man who has it. In addition, the umpire has to call it! We also learn that in recent decades, more of the blame for being caught has fallen on base coaches than on the runners. Because it can be seen as crossing the lines of sportsmanship, the HBT has faced opposition, notably from Ban Johnson, who tried to outlaw from his precious American League. The Sporting News editorialized against the play as late as 1945. The National League took the longer view that if a runner is stupid enough to get caught, that's his lookout. Despite all the arguments, ejections, and even fights resulting from HBTs, that view has prevailed. The earliest HBT documented by Deane occurred in 1872--in the major leagues. It occurred many times in baseball's even more primitive days, which is why it was first called "an old trick" as early as 1876. It has been an old trick ever since, but one that spikes excitement in the ballpark. It still endures, though only five successful attempts have been made since 2000. We learn about the controversies and the excitement mainly through Deane's decision to include nearly every newspaper account of the 264 successes as well as chapter about near-misses. This is a double-edged sword. The good news is that it allows us to hear over 125 years' worth of reporters' voices. As anyone knows who has read newspapers of a century ago, the styles were highly entertaining, and they are all of that here. As a sample, here is I. E. Sanborn of the Chicago Tribune in 1910: "J. Evers was made the victim of the moth-ball-scented trick by none other than Fred 'Bone' Merkle. . . .Merkle stabbed him, and the umpire saw it. There was great joy among the bugs who love the Trojan, we don't think so." The bad news is that we get less of Deane's own voice. Apart from the introductory chapters and brief comments before the decade-by-decade discussions, Deane is satisfied most of the time to provide the "according to" for the next HBT account and to add a smidgen or two of color to summarize the event. I miss the authoritative, wryly humorous narratives and patient, judicious explanations of his previous book, Baseball Myths. Not that this tone is absent from the parade of HBTs--it just isn't there often enough. As always, Deane is meticulous about presenting his research. He has identified the greatest perpetrators of the HBT--Bill Coughlin, a third baseman with Washington and Detroit in the early years of the American League, was the leader with nine and likely the target of Ban Johnson's indignant abhorrence of the play. He also pulled off the only HBT in the World Series, playing for the 1907 Tigers when he tagged out Jimmy Slagle of the Cubs in a play labeled by the Spalding Guide as "ancient and decrepit." Second all-time was the wily Miller Huggins, a Cardinals second baseman whose brain power propelled him to a Hall of Fame managing career. The only other Hall of Famer to turn the trick at least three times was 19th-century first baseman Dan Brouthers. On the other hand, plenty of Hall of Famers have been victimized by the HBT, 32 to be exact. Notable names on the roster of dunderheads include the quick-witted trio of Tinker, Evers and Chance, Willie Mays (though, regrettably, no details are provided), John Montgomery Ward (twice in one season), Jimmie Foxx, Orlando Cepeda, Gary Carter and, most recently, Rickey Henderson (victimized by first baseman Rafael Palmeiro in 1998). This treasure-trove of baseball tales makes for a fast, entertaining read. My own reading of it was somewhat marred by alarms going off in several Pet Peeves areas of my baseball-editor antennae. It grates on me to read about "a Cub victory" or a "Brown shortstop," but it grates more when an author is inconsistent in usage, as when Deane, in the space of half a page, refers to a "Robin rookie," a "Reds first baseman," and "the Giants' Jim Hamby." They can't all be right; two of them are, which is why the third grates on me. Deane is also inconsistent about verb tenses. Though his own text is in present tense, applying the present tense to quoted passages written a hundred years ago can get tricky. When a present-tense quote is followed by Deane informing us that someone else "recalled" it years later, I find it disconcerting. Finally, he keeps telling us that The Sporting News or another publication "writes" the quote that follows. Newspapers do a lot of things that people do; they report, note, declare, assert, explain, suggest, and even say things, but the one thing the papers do not do is write. Only people write. Despite those fleeting annoyances, I recommend Deane's book for many reasons: the sheer wealth of lore he excavated; the shrewd way he organized it; his compelling quest for documentation, and the sometimes glowing, sometimes grumbling accounts by generations of reporters. There are many fine baseball discussion groups on Facebook, and naturally I keep an eye on the Hall of Fame group. With the BBWAA election of new Hall of Fame members coming up tomorrow, the discussion has been hot and heavy. Today, I found myself in a strenuous debate with one of my closest baseball friends, Bill Deane. During our separate tenures as researchers at the Hall of Fame library, Bill and I were often besieged by people lobbying for against this or that player's rightful place in the Hall of Fame. Usually we're on the same page, but not this time. Bill's contention was that Pedro Martinez was a "thug" on the mound, based primarily on his high frequency of hitting batters with pitchers. I disputed this contention, and the debate took off from there. Bill came up with a wonderful statistic. He cited Martinez's career ratio of HBP to walks as empirical evidence that when a pitcher with pinpoint control like Martinez--the only pitcher with more than 3,000 strikeouts and fewer than 1,000 walks--hits a batter, it isn't merely a pitch that "got away" from the hurler. There must have been something purposeful about it, and if Martinez chose to hit that many batters, it must be because he is, at heart, a thug. Here's the exact stat that Bill cited: Martinez has a HBP:W ratio of .185, or nearly one hit batter for every five walked batters. Bill also noted that Bob Gibson, probably the most mean-spirited pitcher of our time, had a far lower ratio of .076 and said "see if you can find someone higher. I got on baseball-reference.com, checked the all-time HBP list, and within a few minutes found that Joe McGinnity had a ratio of .220, quite a bit higher than Martinez. Eddie Plank was not far behind Martinez at .177. When I posted this response to Bill's challenge, he answered, "If you had to go back to Joe McGinnity, I rest my case." I have no idea why he thought that my finding someone higher proved his case, but there you go. I tried a different tack I pointed out that Greg Maddux's ratio was .137, or 80 percent higher. By Bill's logic, that would mean that Maddux was nearly twice the "thug" that Bob Gibson was, which is ridiculous, as anybody who watched them pitch knows. Any stat that makes Maddux look so much thuggier than Gibson cannot have any significance. At this point, I googled Martinez and HBP and found several references to a remarkable 2013 article in the New York Daily News, in which Martinez declared that "probably 90 percent" of the batters he hit were on purpose. “You have to actually make (batters) feel uncomfortable all the time if you want to have success," he said, echoing a basic truth of major league baseball. That does sound like the Pedro Martinez we know, taking his retaliatory responsibilities quite seriously. Does that kind of action constitute thuggery? Perhaps. I decided to take a closer look at all those hit batters. Retrosheet.org has an entry for each player titled "Top Performances," which lists the games on which a player compiled the highest stats in an array of categories. For Martinez and HBP, 16 games are listed, one in which he hit three batters and 15 in which he hit two batters--including Game 5 of the ALCS, in which he plunked two Yankees--Miguel Cairo and Alex Rodriguez. Clemens did not pitch that day, and no Red Sox were hit by pitches. So Millar wasn't referring to that game. I determined to find out when this happened. The 3-HBP game came in 2006 when he pitched for the Mets against the Nationals, plunking Jose Guillen twice and former Yankee Nick Johnson once. Later that season, he got two Phillies in a game he left after one inning with a leg injury. Four of the other instances occurred when he pitched for the Expos. So that left ten games with the Red Sox in which he hit two batters. Although I went through all ten of those before taking the next step, I'm going to jump ahead here and note that while Martinez pitched for Boston from 1998-2004, Kevin Millar played for Boston from 2003-2006. So the Clemens game would have had to take place in 2003 or 2004. Martinez hit two batters in a game three times in those two seasons, including the 2004 ALCS game mentioned earlier. That left the games of March 31, 2003 and August 28, 2004. On August 28, 2004, they played Detroit, and the HBPs occurred three innings apart. No Red Sox were hit in that game. On March 31, 2003, the Red Sox played Tampa Bay. Kevin Millar was hit by a pitch in that game, so maybe that was the event that got confused in his memory. But no. Martinez hit Al Martin in the fourth inning, Millar was hit by Joe Kennedy in the following inning, and the last HBP came in the seventh inning. So that wasn't it either. I still hoped to track down the game Millar might have referred to, having seen enough tales based on faulty memories to suspect that was the case here. In 2003, he was hit by five pitches, including once by Roger Clemens at Yankee Stadium. 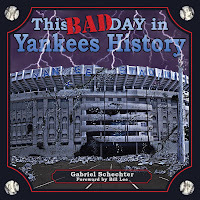 It happened in the second inning, and it's true that Alfonso Soriano was also hit by a pitch in that game. However, it was Ramiro Mendoza who nailed him, and it happened three innings later. Jeter followed the HBP with a single. That doesn't fit Millar's story either. In 2004, Millar led the American League by getting hit with a pitch 17 times. In late April,. he was hit at Yankee Stadium in back-to-back games. The first time it was by Paul Quantrill in the 12th inning, and Martinez didn't pitch that day. The next day, Javier Vazquez got him in the second inning. Pedro was the pitcher--maybe this was it! But no. Not only did Pedro not hit anybody, Soriano had been trading away to Texas. That disqualified Millar's 2004 season, though it was fun to see that he was hit three more times by Yankees pitchers that season. Even Mariano Rivera found him. But Martinez didn't pitch in any of those games. I had one more thing to check. Both Soriano and Jeter were hit exactly once in their careers by Martinez. This took more digging, but maybe I'd find that they happened back-to-back and that Millar was only hoping it was because Martinez came to his defense. In 2002, Martinez hit two Yankees in a game twice, and both times it was same player--Jason Giambi the first time and Robin Ventura the second. On July 7, 2003, at Yankee Stadium, Martinez plunked Jeter for the only time in his career. It happened in the bottom of the first inning. The Retrosheet box score tells us that Soriano led off by striking out, but he left the game after that inning. Perhaps Martinez didn't hit him, but merely brushed him in a way that caused Soriano to pull a muscle ducking out of the way. Jeter also left the game after two innings, possibly with a sore neck if that's where he was hit. On the other hand, Millar did not bat in the top of that inning, and the Yankees' pitcher that day was Mike Mussina, who didn't hit anybody. Well, maybe Millar was hit the previous day by Clemens and Martinez was exacting justice the first chance he got. That theory went out the window when I saw that Andy Pettitte pitched the previous day and did not hit Millar or anybody else. Jeter, however, was hit by John Burkett.What was Millar thinking about when he told that story a decade after it supposedly happened? I have no idea. So where does that leave me? Bill Deane did get around to answering my point about Greg Maddux, saying, "Maybe hitters didn't mind getting hit by Maddux's 85 mph stuff, as it seemed the only way they could get on base." That might have some validity. Over the course of Maddux's career, opposing batters had a .250 lifetime average and a .291 on-base percentage. So taking a cutter off the elbow pad would seem to be an acceptable way to get on base against the winningest pitcher of his generation. But what about Pedro Martinez? In his career, opposing batters had a .214 average and a .276 on-base percentage. That shows that Martinez was a much tougher pitcher to hit than Maddux, and even though his fastball measured 5-8mph more than Maddux's, it still seems like a better percentage for them to take that heater off the elbow pad. Just because I ducked a high-inside heater from Bill Deane and scratched out an infield single, it doesn't follow that a major league hitter would be above taking a free base from the hardest-to-hit pitcher since Nolan Ryan took his total of 158 hit batters and retired.